When it comes to beaches in Kerala, Kovalam beach doubtlessly seizes one the topmost positions in regard of visual awesomeness and tourist inflow. This beach is situated 13km away from Trivandrum. Among the vast array of tourist spots in Kovalam, it's the beaches that are most sought by the tourists, both local and foreign. 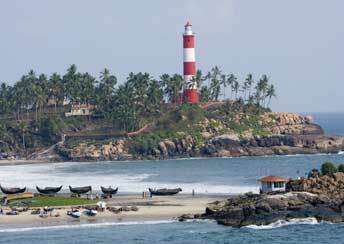 Kovalam beach is a falcate shaped beach bordered with coconut trees and they keep swaying gently by the breeze blowing softly in the region. The silvery white sands are ideal for a leisure walk in the evening and at the same time the clean crystal clear water will hypnotize you to jump in for an enjoyable swimming session. If you are simply a passive traveller and love to enjoy the nature's bliss, this is one of the finest beaches to sit and relax. You can opt for lounge chairs which are available in plenty here. A typical Kovalam beach resort will avail you with the provisions to get the dazzling view of Kovalam from the roof top at great comfort. Here from almost every Kovalam beach hotel , you can get a clear sight of sunrise and sunset. The cuisines in the hotels at Kovalam need a special mention. With mouth-watering dishes having a matchless aura, your taste buds will have a new pleasant experience. Not only in case of quenching the appetite but the entire facilities in the hotels will surely please you. You will get well customized services based on your specific needs and there are a plethora of options to keep you entertained throughout your stay in Kovalam. 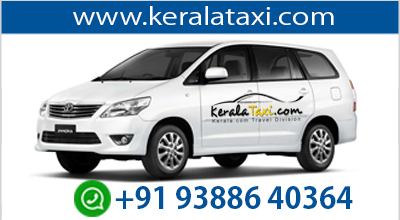 The staffs in the hotels and resorts of Kovalam are well trained professionals who know how to deal with all type of tourists and keep them comfortable. Kovalam tourism is not just confined to sightseeing, swimming and lip-smacking cuisines, but there are more Adventurous sports at Kovalam beach which are really pleasurable. This includes water diving, parasailing, wind surfing and many more. In Kovalam, you can see lots of Ayurveda resorts and there are numerous packages from which you can select the apt one fitting your need and budget. This ancient practice in Kerala has been proved of having immense medical benefits and hence Ayurvedic massages are popular among both the local as well as foreign tourists. Kovalam is also suited for honeymooners and it one of the best honeymoon destinations in Kerala. 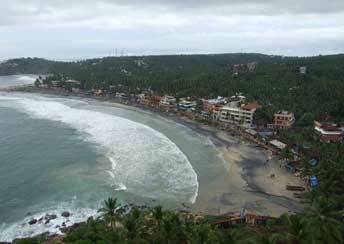 Though Kovalam can be visited at any time of the year, the best time to visit Kovalam is relative. It depends entirely on your purpose of visit. September to March is regarded as the ideal time to visit Kovalam. And for ayurvedic therapies, monsoon is the perfect time as the pores in skin remain more open during this period which is inevitable for effective ayurvedic treatments. Unlike the other beaches in Kerala, Kovalam beach is not that much big. But it is one of the most favourite beaches among tourists and the credit for this favouritism is shared almost equally by the clean water, interesting beach activities, tasty cuisines and affordable stays available.